Many products in modern manufacturing and industrial facilities are produced in Manufacturing Cleanrooms. 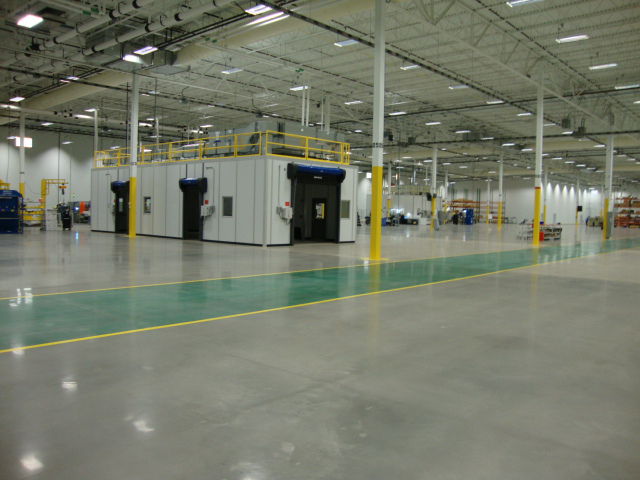 Anti-lock brakes, transmissions, fuel injectors and batteries are a few examples of products assembled and produced in cleanrooms for manufacturers. 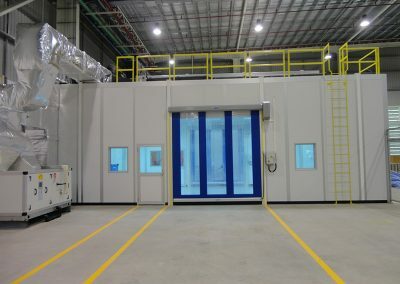 These cleanrooms are often ISO Class 7 and/or ISO Class 8 but need to be designed to withstand harsh environments often found in manufacturing and industrial operations. Temperature, humidity and pressurization control is usually required in addition to cleanliness requirements. 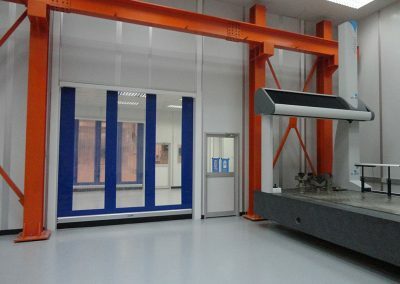 Heavy-duty electrical distribution, bridge cranes and monorail cranes are often installed in cleanrooms designed for the manufacturing industry. Also, components such as air locks, air showers, pass-throughs, cart pass-throughs and gown rooms are incorporated into the cleanroom design. 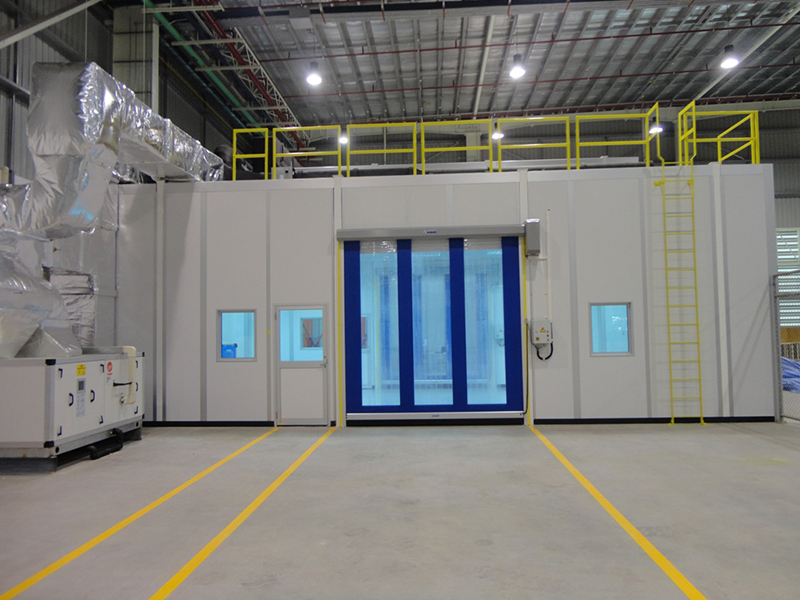 Precision Environments developed a freestanding modular wall system that is installed in manufacturing cleanrooms. The system includes structural steel, which is installed to local code (including California codes), and insulated wall panels with epoxy painted steel finishes. This system is rated FM Class 1 per ASTM E84 and FM 4480 tests. Precision Environments’ anodized aluminum finishes complete the high-quality fit and finish at a reasonable cost. 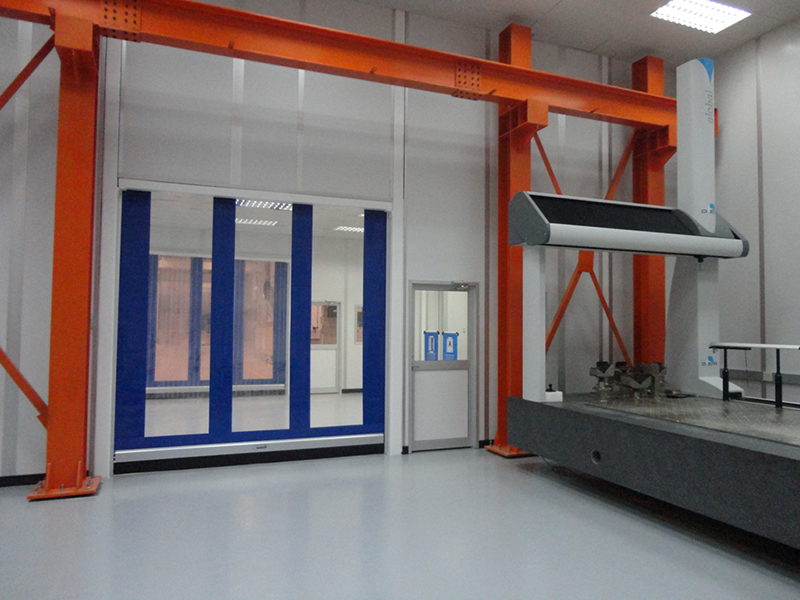 Virtually any feature can be incorporated into the finished cleanroom.